Need a knitter say more? oh that is beautiful — what will it be?? I love new beginnings! 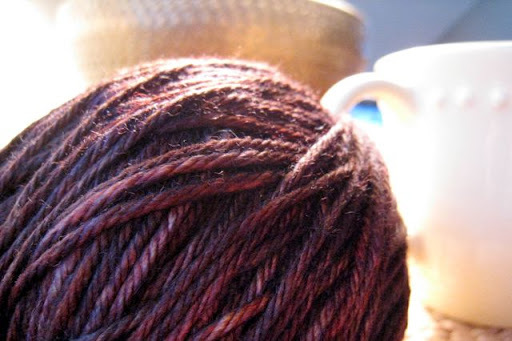 The shades of the yarn are amazing! Your last post – beautiful, thank you. Why him, indeed? Why you? Why cancer?I worked yesterday on a man just back from Afghanistan, someone who is brave and grounded, but still having a hard time transitioning back to his life on Capitol Hill. I can't imagine what he has been through, and still I wonder, why him?Much love to you, radiant knitter and thinker. Sigh,mines not here yet. Thanks for the preview. No more needs to be said! 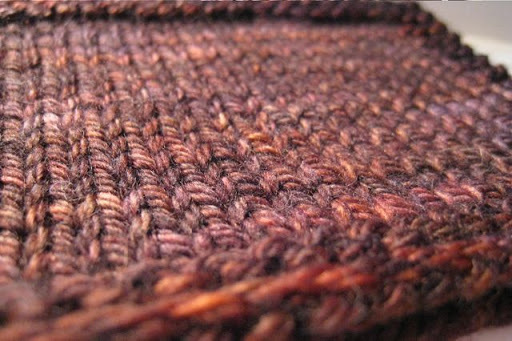 The swatch is so lovely that I can't wait to see what you'll be knitting.